Wow, this a multi-million dollar find for Petra Diamonds! They have just unearthed a 23.16 carats high-quality pink diamond! This has to be one of the most significant discovery from the Williamson mine till date! “Pink diamonds are only found in a handful of mines throughout the world and their rarity ensures that they are one of the most highly coveted of all the fancy colours,” the company said in a statement. The diamond will be auctioned in Antwerp this month & is estimated well over $2.5 million! Update : This diamond has been reported to be sold for US$ 10 Million! 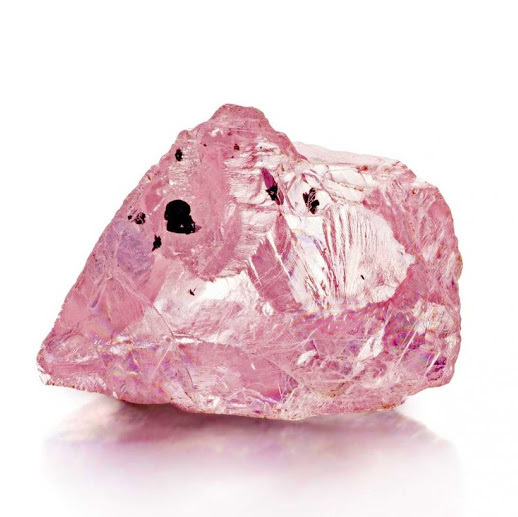 Pink color in diamonds is believed to occur due to structural changes that happened during the growth phase most possibly due to seismic activity. Check out more Pink Diamonds!